Golden Days in Fairbanks celebrates the discovery of GOLD–of course. 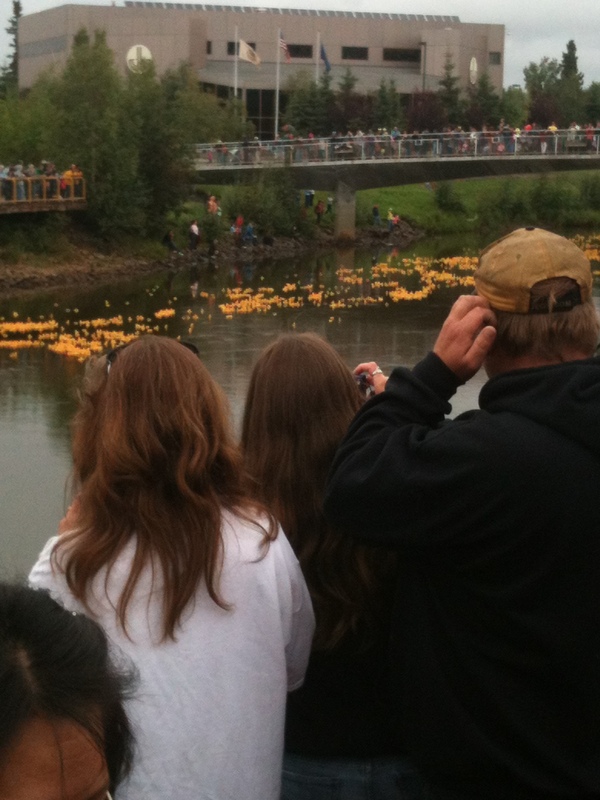 Events include a wonderful fundraiser called the Rubber Ducky Race. 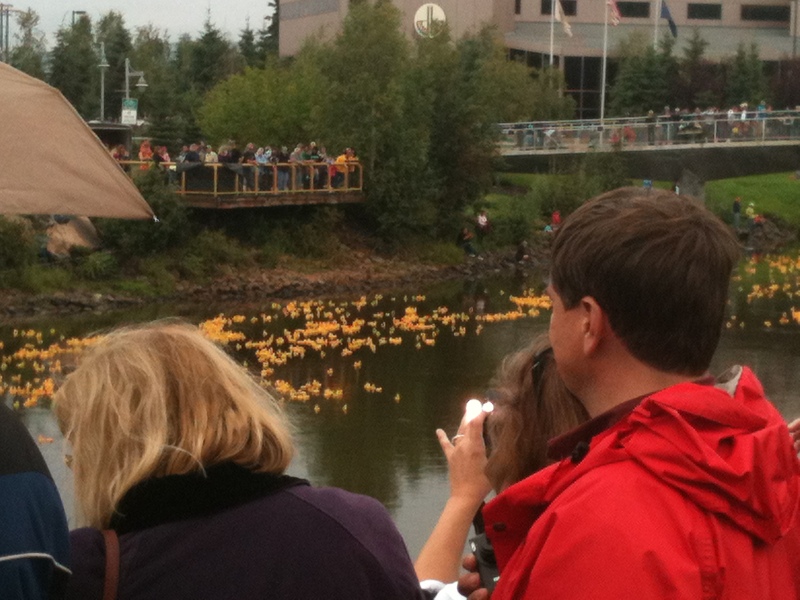 Hundreds of locals and visitors gathered on the banks of the Chena River downtown to watch hundreds of ducks float their way downstream from the Wendell Street Bridge to the Cushman Street Bridge. The lucky duck that reaches the bridge first brings in a grand prize, and the subsequent ducks also garner their “owner” valuable gifts. What we won’t do to entertain ourselves in the fading summer sun!